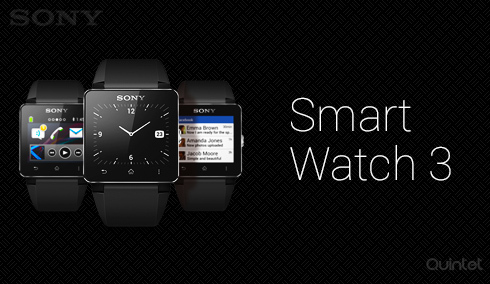 Quintet Solutions offers offshore developers for Sony’s SmartWatch 3 based on Android Wear. We can utilize the functions of apps already present on Android devices. Smart watches are trendy these days and when we develop useful apps for these watches it becomes even better. SmartWatch 3 runs on Android Wear, which is tuned to suit smart watch enthusiasts. SmartWatch 3 gathers all your information , and uses it for various purposes like authentication and security . Receive messages from your friends, calendar notifications, and weather forecasts by just a glance at your watch display. You’ll get notifications from all your existing Android apps on your SmartWatch 3. SmartWatch 3 connects your phone to your wrist. At Quintet Solutions we understand this wide range of use and we can make your apps ready for the SmartWatch 3 so as to cater a large number of audience. SmartWatch 3 is a big player in the field of gadgets for health and fitness . Our Android Wear developers are developing SmartWatch 3 apps using Android Wear SDK and are updated with the latest technologies and coding standards that enable them to make the best apps. Our Designs are very popular for their user interfaces , user integration and friendly user navigation. Designing for tablets and phones is different from designing for wearable devices or smart watches. Each watch has its own dimension and shape which makes it more challenging to design for. Our designers keep all the usability details in mind while making the designs for watch faces. Our designers always research into the various aspects of the design to make sure we are updated with the latest design trends. The best part about Sony Smartwatch 3 is that it can do some functions without a smartphone. A gps chip which is embedded in the phone allows independent location tracking and the android wear walkman app can play music right from the devices 4gb internal storage to your bluetooth headset. So now you wont have to carry your phone around while you’re jogging or running. Fitness is an important factor which smartphones are focussing today and Sony Smartwatch would be giving tough competition to its competitors such as Samsung Gear Live, moto 360, LG’s G watch because of its additional features, such as the inbuilt GPS chip and its independent music playback capability.